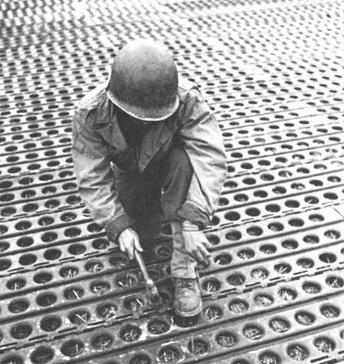 On June 18, 1944, the 819th EAB laid SMT square mesh on ALG A-6 at Beuzeville-au-Plain. 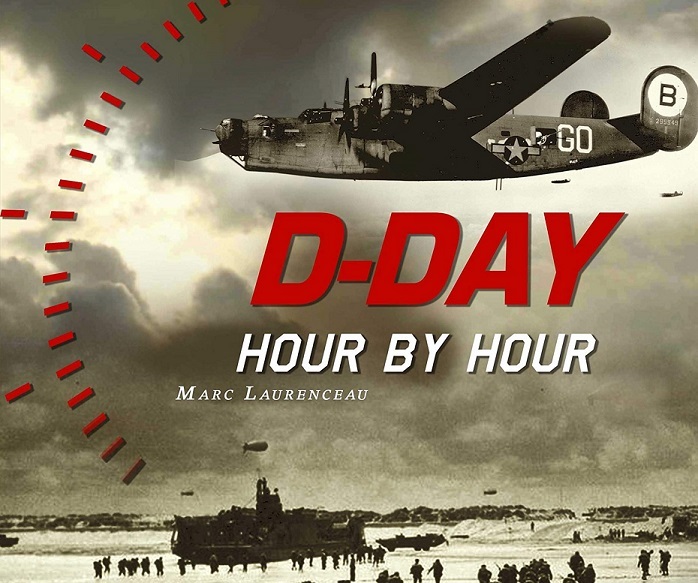 The progress of the troops in Normandy poses the problem of the elongation of the action radius of the allied aviation: how to continue to support the troops on the ground and to conduct air raids while following the progression of the front line? 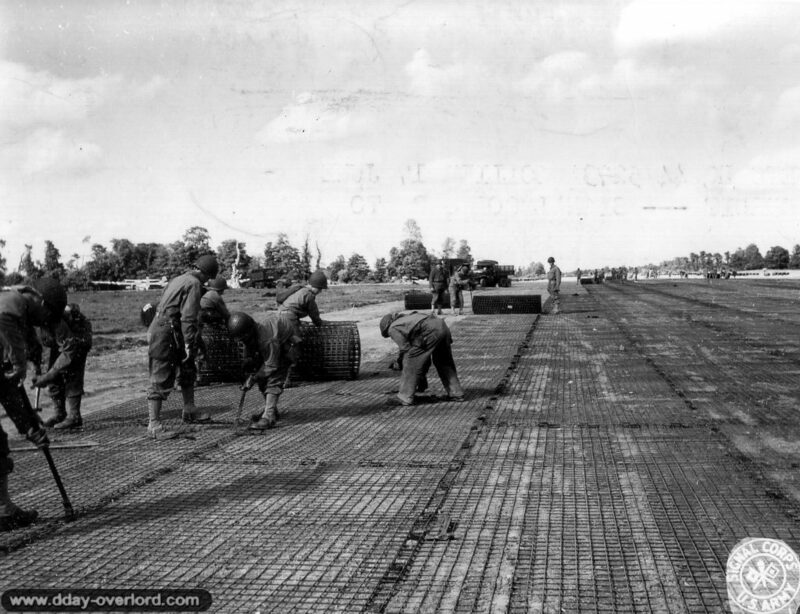 The solution is in the airfield runways, also known as Advanced Landing Grounds (ALG). 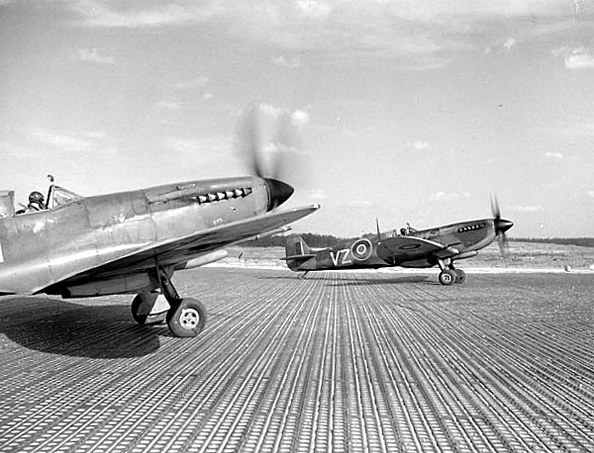 To build them, the Allies are developing a set of quick ways to install, in order to transform a cultivated field into an aerodrome sometimes in less than 24 hours. 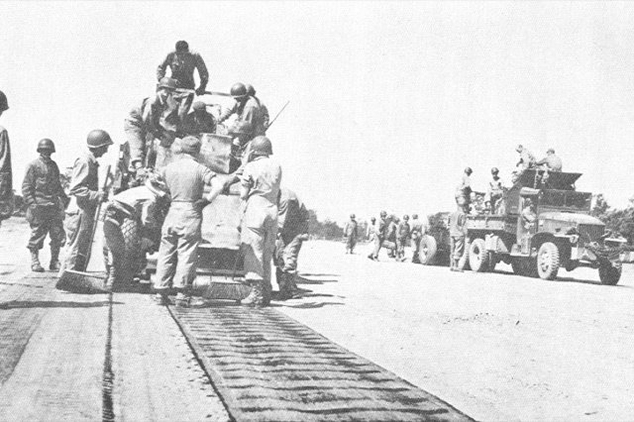 For this purpose, several materials are produced and conveyed on the front by logistical convoys: the most widespread of them is the Pierced Steel Plank (PSP), a perforated steel plate 3 meters long and 40 centimeters wide. This tool can be used as a crossing aid for vehicles in muddy or sandy terrain, as well as as a summary airstrip. 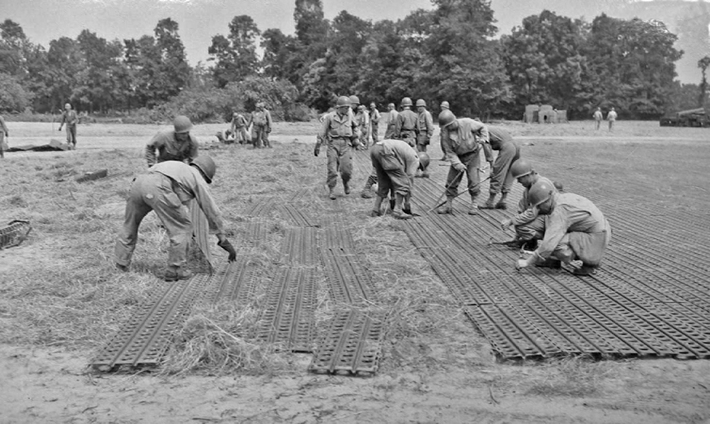 Linked together by staples, these plates are proving to be very expensive for the Allies who are developing other systems, such as the Square-Mesh Track (SMT). SMT is an easy-to-use square steel wire mesh that uses a lot less steel than PSP and is therefore much cheaper. Simply unroll the grill at the desired location and secure it to the floor with fasteners to make it operational. Sometimes, burlap cloths are predisposed under the SMT. 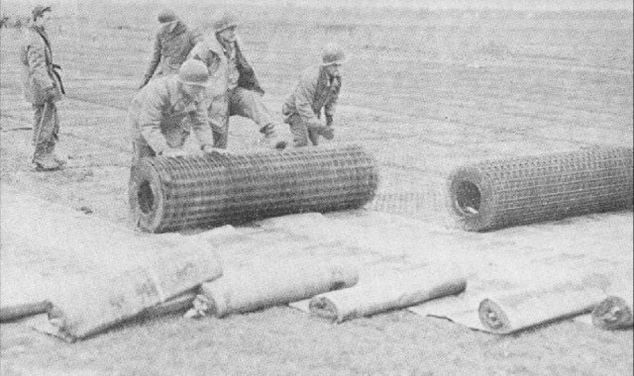 It is mainly used during the installation of advanced airfields. 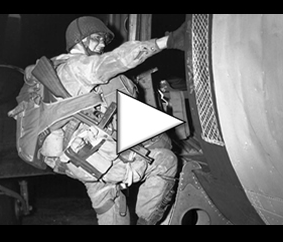 Square-Mesh Prefabricated (SMP, also known as Prefabricated Hessian) is a tarred burlap that is similar to the carpet set up by the Churchill Bobbins tank and also facilitates the take-offs and landings of Allied hunters in the Normandy countryside. Today, these plates can still be seen in the Normandy countryside, rusted by time and sometimes used as barriers by farmers or individuals.